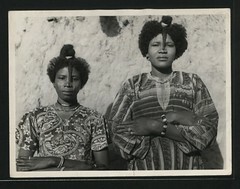 Africa Through a Lens (National Archives, UK) includes thousands of images taken from a collection of Foreign and Commonwealth Office photographs. The collection covers over 20 African countries from the 1860s to the 1980s. The site also includes podcasts (accompanied by images from the collection) that cover the origin of the collection and the aims of the digital project; focus on photos of Nigeria; and conserving the images in the collection.